Chandrakant Pawar once had dreams of making it big in the maximum city, Mumbai – just like millions of others in India who hope to eke out a living in the city of dreams. Circumstances however weren't kind to Chandrakant. Even though he is well-qualified, holding a diploma in agriculture, Chandrakant wasn't given a chance in Mumbai. There are millions like Chandrakant, who feel that rural opportunities are low and agriculture is not a respectable profession. The Swades Foundation was founded by Ronnie and Zarine Screwvala and its vision is to empower a million lives in rural India every 5 years. Its belief is that India will not realise its true potential till there is a fundamental transformation in the lives of those in rural India. It focusses on a 360 degree development through the 5 verticals of community mobilisation, water and sanitation, agriculture and livelihood, education, and health and nutrition. The idea is to make each part of rural India self-dependent and creating choices for themselves. 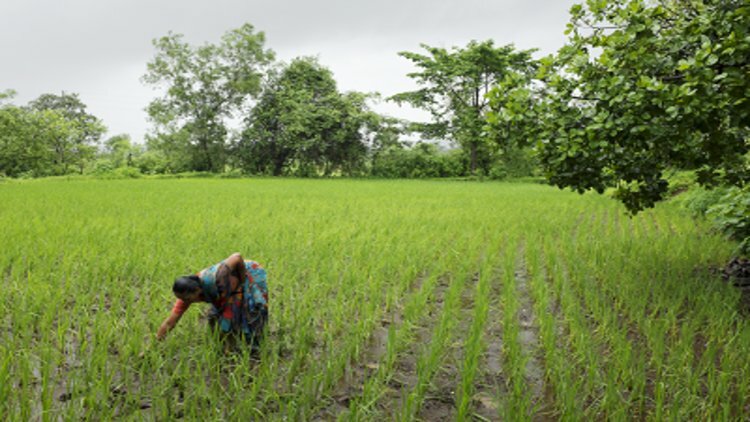 So far, Swades has worked with 19,000 farmers, teaching them new advancements in agriculture and helping them turn their small farms into lucrative businesses. Amongst its other activities, it has launched a rural BPO in a village that employed 300 young adults and helped retain local talent within the village itself. Today, Chandrakant Pawar is happy to live in his village in Raigad. With the help of Swades, he has done some remarkable work in his village. One of his achievements include turning two acres of barren land fit for agricultural use. He is a role model in promoting agriculture as a career option in his community. He is among those remarkable individuals with Swades who decided to give back to their community, and encourage other people to do the same. 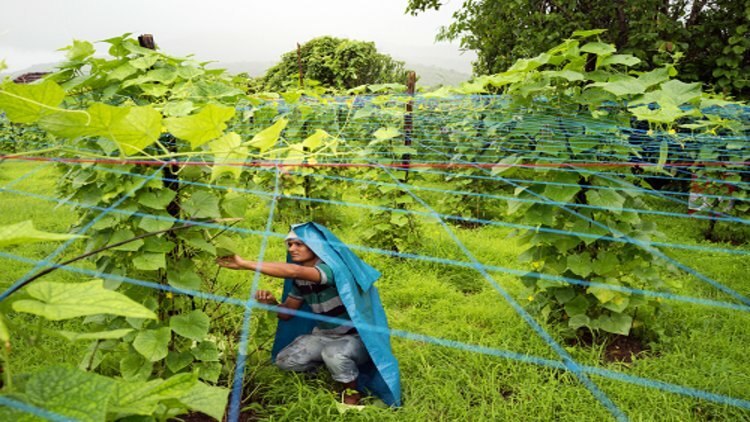 Swades plans on implementing such community farming projects, and training farmers on several aspects of agriculture, including forming farmer producer companies, creating their own brands, and connecting with markets. The project will impact a population of 2000 farmers directly and 3,500 indirectly. Swades and the farmers of India need a bit of support from you with their goal of transforming rural India. With every contribution, this goal is closer to being realised. Every donation made by you, is matched by Mahindra and Mahindra, creating double the impact. A donation of Rs 500 will help in Capacity Building for teaching new techniques such as System for Rice Intensification for paddy cultivation. This technique has the potential to enhance each farmer's income by INR 20,000 per acre. Around 200 farmers are expected to be covered under this initiative. A donation of Rs 1,800 will help provide Net and Vegetable seeds for Mandap Cultivation to Farmers with access to irrigated land. The Mandap based vegetables can provide farmer income up to INR 90,000 from each acre. Around 100 farmers are expected to be covered under this initiative. You can now request for cash or cheque pickup. Our representative will pick it up from your mailing address. Please note: Cheque pickup facility is currently available only for donors in the following cities in India: Ahmedabad, Bangalore, Chandigarh, Chennai, Delhi, Hyderabad, Indore, Jaipur, Kolkata, Mumbai, Pune and Surat. Residents of other cities can mail the cheque directly to our address given below. >Cash pickup facility is available to donors across India. We’ll reflect your contribution on the website within 3-5 working days of cheque receipt. Your name and details won’t be displayed if you chose the anonymous option. You’ll receive an email acknowledgement regarding the same. Here's an update from Swades on the utilization of funds. We are truly grateful to you for your support to Raigad farmers. The following work is being done to support them. Training on 'System of Rice Intensification (SRI)' of one batch comprising 53 farmers has been completed. Remaining 159 farmers will be trained by the end of July 2016. A total of 9 farmers has started cultivating vegetables using Mandap. Intervention with remaining 11 farmers will be completed between November-December 2016. Need assessment for integrated development intervention has been completed. Community meetings will start from June 2016. The Goatry and Dairy intervention will start with cumulative 53 households after monsoon and will be completed by December 2016. 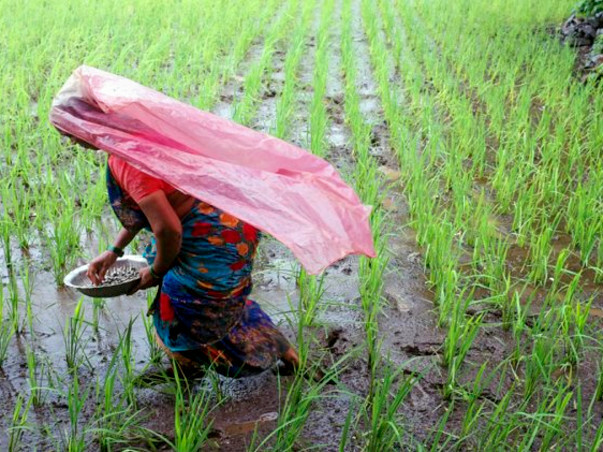 The structures for Water and Sanitation intervention for 56 farmers will start after monsoon in the month of October 2016. 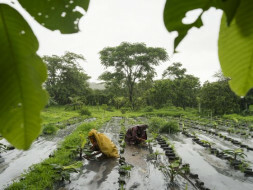 Here's a photographs from the project locations and the Mandap method of agriculture.